A recent review of research by The University of Texas Southwestern Medical Center shows we may be giving CPR compressions too hard and too fast! The research may conflict with the 2010 guidelines of compressing ‘at least’ 5 CM (2 inches). In an article published by the university, Dr. Ahmad Idris, Professor of Emergency Medicine and Internal Medicine at UT stated, “…About 60 lbs. of pressure are required to reach this depth. 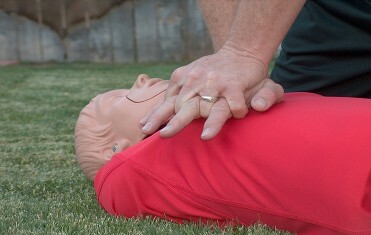 But in some cases a burly fireman or well-intended volunteer can go way past that amount, which can harm the patient.” Dr. Idris stated that, “About half of responders are giving chest compressions too fast, with about a third above 120 compressions per minute, and 20 percent above 140 per minute…” The review also suggested the ‘sweet spot’ for CPR compressions is 100 to 120 beats per minute. The article sited using the children’s song “Row, Row, Row Your Boat” to help stay on the right pace.